For all event details (including recommended sense-up) visit: RECON Event Detail Page for Chiron. Note that because this event is occurring under morning twilight condition with brighter sky condition, we will likely be using a sense-up closer to 4x. Stay tuned for updates as we run tests leading up to the event. 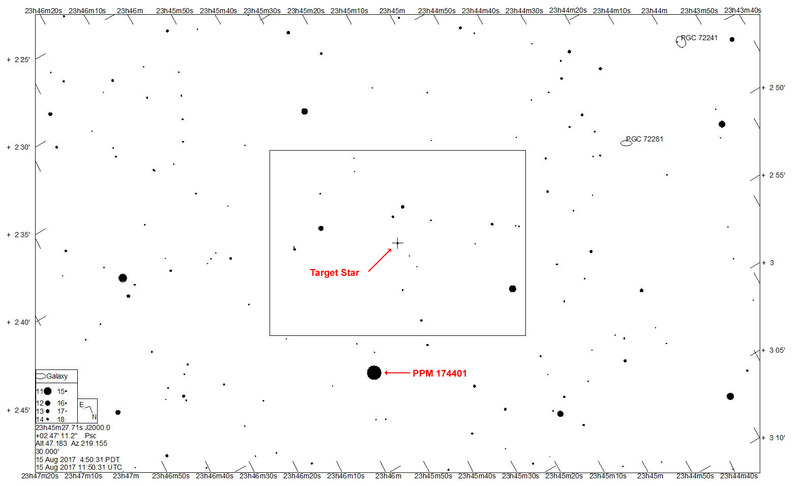 Star chart provided by Jerry Bardecker using Guide9.